A new nationwide project aimed at improving the care and diagnosis of developmental disorders and understanding their relation to the human genome is announced today. The Deciphering Developmental Disorders (DDD) Project aims to improve the diagnosis and care of children in the UK who fail to develop normally due to changes in their genetic makeup. Its goal is to collect comprehensive genomic data and from this develop clinical tools to unlock the genetic reasons for the developmental problems in these children. Over the next five years, the scientists and clinicians behind DDD hope to recruit to the study up to 12,000 children who have a serious delay in their physical or mental development or are born with multiple malformations. By capturing information on genetic make-up and physical and mental characteristics, the research team aims to improve diagnosis of conditions that affect around one in a hundred births in the UK. The project is a direct collaboration with all twenty-three of the NHS Clinical Genetics Services from across the UK together with the Wellcome Trust Sanger Institute. It will provide information for researchers and clinicians into rare chromosomal abnormalities and their possible role in disease. The project is supported by the Health Innovation Challenge Fund, a parallel funding partnership between the Wellcome Trust and the Department of Health. Currently, only a small minority of children can be diagnosed: the clinician must recognise the pattern of symptoms and appearance of the child and supplement that with laboratory studies that are often limited to identifying large rearrangements in chromosomes or studying a single gene. The latest methods that can detect chromosome changes that are invisible under the microscope are slowly being introduced into clinical practice. DDD will broaden experience with these methods, increasing knowledge to link genetic changes to symptoms. DDD will analyse DNA samples from patients using powerful, high-resolution chip technology and next generation sequencing. The technology is more powerful than the screening methods currently used in clinical practice and should be able to identify rare genetic mutations including copy number variations (duplicated or missing sections of DNA in our genome), exon deletions and single base pair changes. The scale of the DDD project offers the potential to help scientists determine which of these candidate variants are connected to the patient’s condition. In some cases, the particular characteristics being shown by the patient may only have been seen in a handful of cases previously. Usually, this would make diagnosis very difficult. However, by creating a national resource with such information available to the entire NHS genetics network, the researchers hope to enable doctors to make a rapid diagnosis of a patient’s developmental condition in as many as one in five cases. 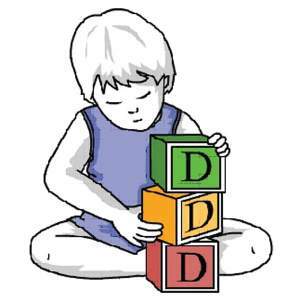 Diagnosing developmental disorders is important for improving patient care. Children often undergo expensive and potentially ineffective investigations and despite this the majority remain without a diagnosis. A genetic diagnosis allows doctors to provide the child’s parents with information on care and management options and also to offer genetic counselling regarding risk to future offspring. The database will also enable researchers to link particular characteristics, or ‘phenotypes’, to possible candidate genetic variants. In the long term, scientists hope that this may enable them to identify molecular targets for new treatments for some of these conditions. The DDD project will enable a major expansion of DECIPHER – the DatabasE of Chromosomal Imbalance and Phenotype in Humans using Ensembl Resources – which was established in 2004 to facilitate clinical interpretation of genetic variation seen in patients. DECIPHER connects clinical centres across the globe, providing each centre with access to information on a much larger number of patients. This allows doctors working on different continents to diagnose a very rare condition by identifying genomic regions that are altered in children with similar clinical features. An important aspect of the DDD is investigation of the ethical and social issues surrounding the clinical use of new genomic technologies. Not only will the study focus on the issues facing healthcare professionals in the implementation of these new diagnostic tests but also on the perceptions and expectations of patients and families. Deciphering Development Disorders was funded under the Health Innovation Challenge Fund (HICF), a parallel funding partnership between the Wellcome Trust and the Department of Health. The funders are collaborating to stimulate the creation of innovative healthcare products, technologies and interventions, and facilitate their development for the benefit of patients in the NHS and beyond. The HICF operates a succession of thematic calls for proposals, each selected to focus on unmet needs in healthcare relevant to the NHS, and will support innovative developments that are within three to five years of launch or adoption. The Department of Health (DH) works to improve the health and well-being of people in England. The Department sets overall policy on all health issues and is responsible for the provision of health services through the National Health Service.